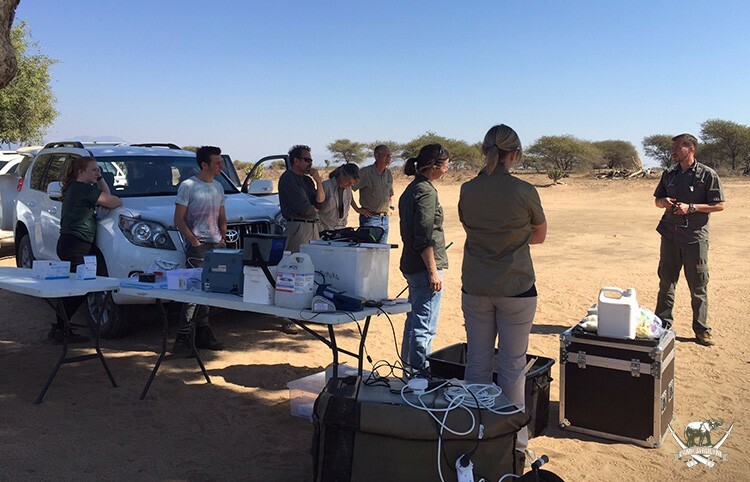 This research project investigated the use of BAM in tame African elephant. BAM is a combination drug that has been registered in the US for a number of years for species such as elk, moose, black bear and bighorn sheep. It was originally developed because there was a necessity for an immobilizing drug that was safe to prescribe to non-veterinarian officials such as wildlife rangers, to be used to immobilize problem wildlife. Unlike in South Africa, non-veterinarian officials in the US are permitted to handle and use immobilizing drugs and dart wildlife with these drugs, if prescribed by a registered veterinarian. BAM combines two immobilizing drugs, butorphanol and medetomidine, with a sedative, azaperone and is extremely safe to handle compared to other opiate-based immobilizing drugs. While butorphanol and medetomidine result in a high degree of sedation at lower doses and immobilization in higher doses, azaperone adds further sedation and reduces any elevations in blood pressure that may result from the administration of medetomidine and butorphanol. Both medetomidine and butorphanol are also reversible with the administration of atipamezole and naltrexone, respectively and so the combination can be fully reversed should any complication result during immobilization. In South Africa, BAM has been investigated for full immobilization in lion, cheetah, leopard and tiger with excellent results, specifically because of its reversibility and safety to handle. 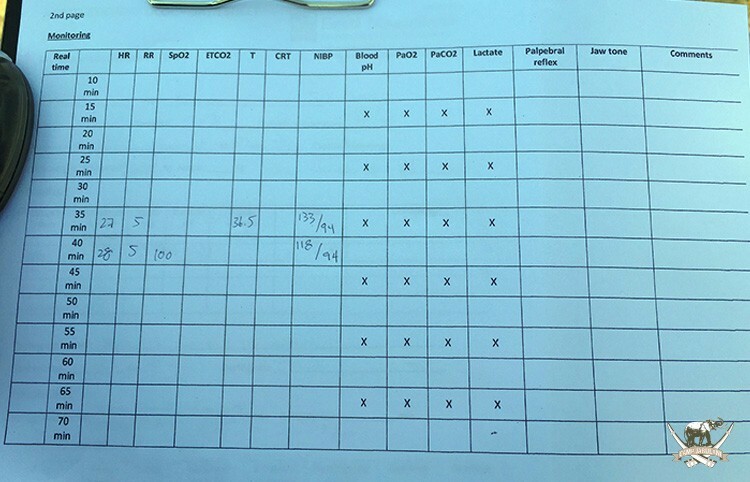 In elephant, the research team aimed to determine if BAM was suitable to induce a standing sedation. Ultimately, in higher doses BAM could cause full immobilization but in tame, group elephant, standing sedation is preferred for small veterinary procedures as it doesn’t stress the rest of the group out when one elephant is being treated, unlike when one elephant is immobilized. Therefore, BAM would provide a minimally stressful alternative to full immobilization. Dr Aleksandr Semjonov, head of veterinary anaesthesia at Estonian University of Life Sciences, was the lead researcher on the project. 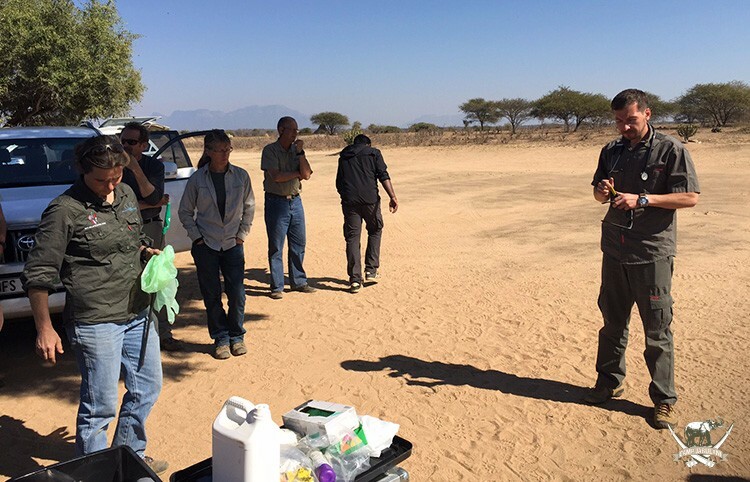 He was accompanied by Dr Silke Pfitzer of Wildlifevets.com as well as Dr Liesel Williams of Wildlife Pharmaceuticals (Pty) Ltd., the company which produces BAM. The results of the study found that BAM could safely and adequately sedate tame elephant without causing full immobilization. 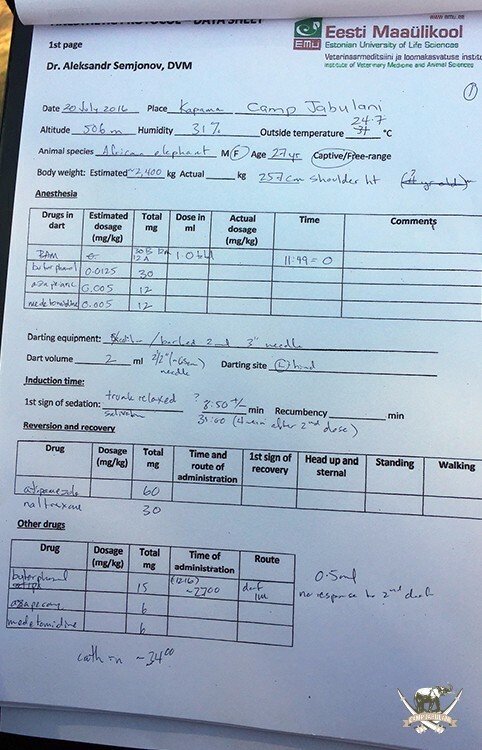 The combination produced no adverse effects in the elephant and all the parameters monitored, including heart rate, respiration rate, inter-arterial blood pressure and blood gasses, showed a safe and suitable sedation in all the elephant with full sedation being reached within 20 minutes. All the animals could be safely handled and the sedation was suitable for minor procedures such as blood collection, rectal examination, wound treatment, vaccination and the implantation of microchips for identification. 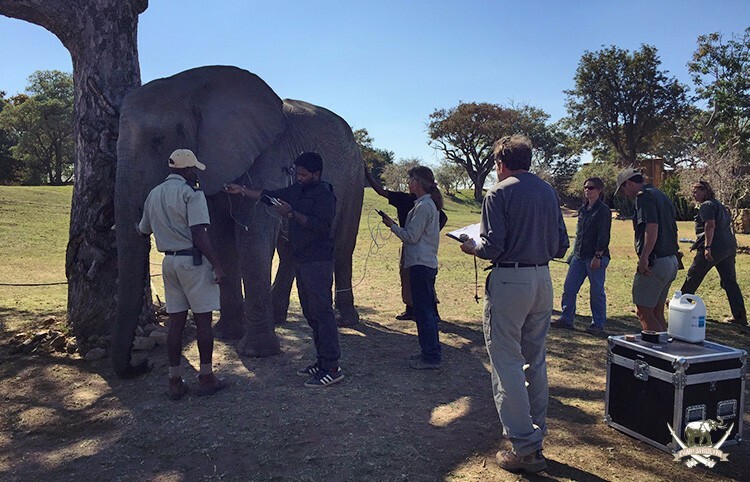 Once all the necessary monitoring data was collected, all animals were safely reversed and could be walked back to the rest of the group without any problems or stress to the animal treated or the rest of the elephant. Nine elephant in total were darted with BAM and monitored and each animal responded very well to BAM. 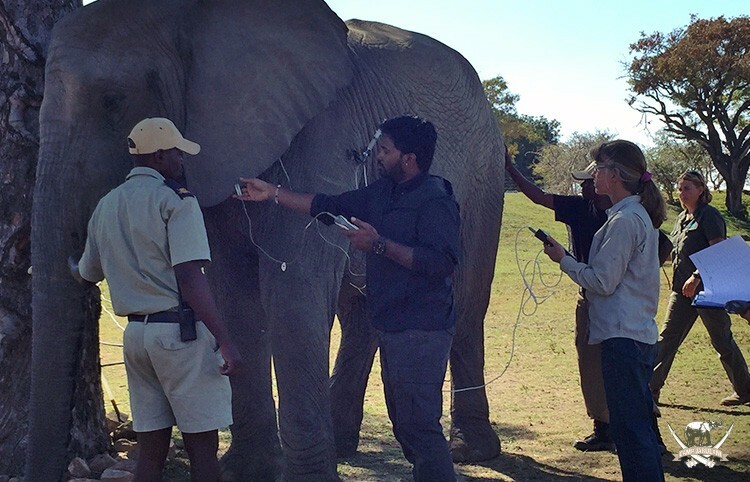 The research team and Wildlife Pharmaceuticals hope to ultimately register BAM in South Africa for elephant and hope that it will be marketed world-wide for zoo and other tame elephant. Without the assistance of Camp Jabulani and their generosity in allowing the research team to use BAM in their elephants, this project would not have been possible. On behalf of Wildlife Pharmaceuticals and the entire team, we are exceptionally grateful for the opportunity and know that the results of this project will greatly contribute to the wildlife industry and the safe handling and treatment of elephant. Considering the great benefit such research has for wildlife conservation, it makes us proud to have been part of such an initiation.